This afternoon at 5:17 p.m. the Thompson (and LENNDEVOURS) family welcome Jackson William Thompson into the world. He's 7 pounds, 10 ounces and is 20" inches long. Nena and Jack are resting comfortably at St. Catherine's Hospital in Smithtown, NY. It's looking now like they'll both come home on Sunday morning, just in time for the Super Bowl. And you can bet that he'll have some sort of Steelers gear on, even if they aren't playing in this year's big game. Nena looks like a natural and there is one proud papa typing this post. Obviously there will be some blog silence for a couple days, but updates are forthcoming. 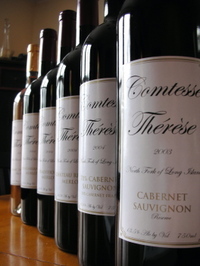 My column in this weekend's issue of Dan's Papers is about Comtesse Therese's current releases. Check it out this weekend in print or be patient and I'll publish it here as well. That's the preview portion of this post. The good news is that after years of writing almost exclusively about Long Island wines in Dan's Papers, I've finally been given the go-ahead to write about most anything wine related. I look forward to using this opportunity to expand my wine expertise and to bring it to you as well. Don't worry--New York will always be my focus, but I guess there are a few other regions making good wine, right? In today's New York Times, wine guru (and fellow blogger) Eric Asimov writes about a website near and dear to my own heart, Appellation America. The story is a nice one and I'm glad to see AppAm get the press and publicity. Both are certainly true in my mind. Of course, I know plenty of people who buy wine by region (even U.S. region) but they are wine geeks, not the average consumer. The second point is one that I feel even more strongly about--especially when it comes to my favorite region, Long Island. Most locals talk Bordeaux and at least one mentions Friuli, but why make the comparison at all? I know, I know. It's all about marketing and spin and promotion, but the fact is that despite some similarities, the wines are different. They are more fruit-forward than most Old World wines...but not the the point of being fruit bombs like California, Australia, etc. So if it doesn't ring true, why bother? The wines of Long Island are unique and I think there is a market for them--a market that will latch on to that uniqueness. A market that will pay a little more to "buy local." After all, "local" is the culinary buzzword of the moment. More Long Island wineries should be playing that point up more. By the way, last summer I tasted the Michigan riesling Eric mentions in his story. It may have been the best riesling I tasted in 2006. Yes, possibly even better than the Finger Lakes renditions I enjoy so much. And the Westport bubbly? I'll vouche for the deliciousness of that wine too. There are great wines being made all over this country. Check out Eric's story and then head on over to Appellation America. People sometimes tell me that I'm crazy when I smell "non-grape" things in a wine. This wine is for them...if only because it is a perfect example of non-grape aroma. In fact, I could have titled this post "Wanna Experience Peach in a Wine?" or something of that ilk. Personally, I didn't care for this wine much, but it's an excellent example of the wonder of wine grapes. 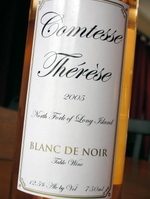 Theresa Dilworth, co-owner and head winemaker of Comtesse Therese, made 127 cases of her Comtesse Therese 2005 Blanc de Noir ($18). First, don’t be fooled by the name, it’s not a sparkler. My guess is she used this usually-reserved-for-bubbly name because she also produces another rose that is named simply rose. It's a little confusing, but not overly so. Made in a dry style from merlot and cabernet sauvignon grapes, the nose is dominated by sweet, floral peach aromas. The peach is a little overwhelming actually, with only a little berry scent beneath that is barely recognizable as raspberry. It's medium bodied and—again—very peachy with floral/perfume flavors and only a little bit of berry beneath. For my money, you're better off waiting for her next standard rose release, which is always one of my strawberry-tinged favorites. In case you missed it, uber-star chef Mario Batali has launched a new website. Normally, I'd barely care and certainly wouldn't mention it here, but this time I'm proud of the relaunch because a good friend of mine is the designer behind it. The cool thing was that I got to see this thing from the inception--from design proposals all the way through to launch. At one point, they wanted her to visit at least one of the restaurants to get a feel for the cuisine, but as a strict vegan and busy mother of two, that hasn't happened quite yet. It is with much disappointment--but no regret--that I stepped down as editor of the Long Island Wine Gazette today. The reasons for this decision are as varied and complex as a mature glass of North Fork merlot, but creative (and business) differences with the publisher, increasing demands on the home front with my soon-to-arrive first child and a desire to pursue other wine-related projects all played a part. Although I only edited one and a half issues, I learned a lot--both about my own writing and my editing skills. And I also learned that it takes a lot of work to resurrect a publication that was on its death bed. I firmly believe in the potential of a publication like the LIWG, but at this time I feel that my time and efforts are better directed elsewhere. I'd like to thank all of you, both in and outside of the local industry, for your support. And this is far from the end of the fun I have in store for you...trust me. She's not even due until later this week, but already I'm beyond ready for our little bundle of joy to arrive. But, much like a fine bottle of wine that isn't finished with its time in barrique, he or she just isn't ready. So, we wait. And wait. But, Nena gave me reluctant permission to post a recent picture. Stay tuned folks...lots happening. And soon we hope. Should we be looking for H. Stern Cellars or Chateau Stern to open in Long Island wine country? I have no idea. This isn't based on a single thread of news or even rumor. 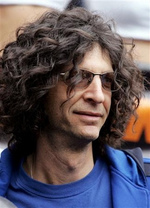 But, Howard Stern, the only person on the radio worth listening to, not only loves wine, but is a Long Island native who is building a mansion on the East End. Oh, and he also has plenty of money with that big Sirius contract. With wineries like Sherwood House Vineyards, Castello di Borghese and Galluccio Family Wineries for sale--all under $10 million--Howard can probably buy one with the change in his couch. So how about it Howard? I'll even run the winery for you. 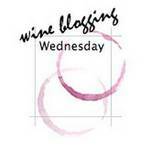 Can you believe that February 7 is the 30th installment of Wine Blogging Wednesday already? It seems like only yesterday that I stole borrowed the idea for Is My Blog Burning and turned it into a wine event. Anyway, here we are at #30 with Tim of Winecast serving as host. I'd like to thank him for filling in for the scheduled host, who is AWOL. I know what Tim's original them was (not going to ruin the surprise for a later WBW vintage) but it wasn't particularly seasonal. So, he turned to a wine that we both think will work well with the cool-to-cold weather blanketing much of the U.S. this time of year--syrah/shiraz. But not just any syrah. Tim wants us to pick up a bottle of New World Syrah (Shiraz). Because of Valentine's Day and Ash Wednesday next month, Tim has decided that WBW will take place on Wednesday, February 7. So, head over to Winecast to learn more and join us! 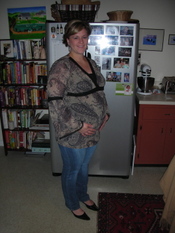 I'm excited because this may mark the return of my tasting partner, the lovely, talented and soon-to-be mommy, Nena. As you all know, Nena and I are anxiously awaiting the arrival of our first lil one. It could happen any day now. Seriously. Any. Day. Now. I was thinking this morning about some of the wine-related traditions that I've read about in the past when it comes to new parents. I've heard that some people put a little bubbly on the baby's lips in the delivery room. That's pretty cool, but I'm not sure our doctor would be particularly pleased with that. And of course there is the tradition of buying a case of wine from your baby's birth year and then giving it to them on their 21st birthday. That is something I'll dive into later obviously. But, are there any other traditions that you've heard about, or even created yourself? Inquiring, wine-loving minds want to know. While I enjoy some of their reds, its the white wines at Channing Daughters Winery that really stand out in my mind. Their winemaker, Christopher Tracy, can almost always be counted on for balance in his whites. In other words, if he uses a lot of oak, there's always ample fruit and acidity. The wines also tend to be layered and nuanced, which is good because they aren't the most affordable wines on Long Island. 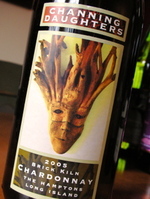 Tracy makes a few, distinct, chardonnays and Channing Daughters 2005 Brick Kiln Chardonnay was released a few months ago. The 100% chardonnay fruit that went into this was hand picked from their Brick Kiln Vineyard, whole cluster pressed and barrel fermented. It displays aromas of juicy pear, vanilla, baking spice and just a small squirt of lemon. On the palate, those baking spices really come through — mostly nutmeg and cinnamon — with fruity pear and apple flavors. This wine is pretty well balanced and shows just a little spicy lees character. The finish, which is medium long, has a distinct pear note with a little butter. Sorry folks...I'm a little behind on some administrative-type posts. The roundup for WBW #29 has been posted over at one of my favorite food and wine sites, Fork & Bottle. In case you missed it, there was an interesting discussion between some local industry types in the comments of my own entry. Clearly, the term biodynamic gets people riled up--on both sides of the fence. Thanks to Jack and Joanne for hosting the latest edition of Wine Blogging Wednesday. 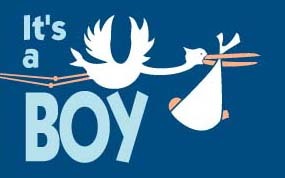 I don't want any of you to think that LENNDEVOURS is unusually quiet because Baby Thompson has arrived or anything. Fact is, I'm just smack dab in the middle of an awful cold that has brought the LENNDEVOURS wine tasting train to a complete standstill. Nena is doing very well considering we're only about a week and a half from her due date. For those of you that have asked, thank you. For those of you who haven't asked, that's okay too. We're basically in "just waiting" mode. I'm taking every remedy possible to get this cold knocked out before the baby comes, but beyond that, we're just waiting and relaxing as best we can...before the craziness of new parenthood arrives. I'll try to get a new picture of Nena posted this week...if she'll let me take one. I got an email yesterday that Long Island's own Bedell Cellars was named the #7 hottest small brand by Wine Business News. While the story itself isn't all that interesting (I've been talking about Bedell's quality and shift towards more blends for a while now), it is obviously nice to see a North Fork producer on this list. It also shows just how boutique a region this is. In the overall world of wine, Bedell Cellars is a small producer, but it is definitely not one of Long Island's small producers--in terms of wine production, quality or notoriety. Certainly, they aren't small when it comes to their PR and marketing. They do a great job getting the word out...and producing quality wines. There are other producers who can market, but their wine disappoints compared to the hype. Bedell brings them both together. I don't mean any offense to Jack or anyone else who believes strongly in biodynamic farm practices. Really I don't and I think that there are some great wines being made with biodynamic-grown grapes. Anyone who has tasted any can see that. But I don't buy into the benefit some of the more 'hocus pocus' techniques. Maybe it's the former scientist in me. I was a biology major after all. I'm all for organic and sustainable farming. The benefits to the land, environment and those living there are obvious and much more provable. In my mind, biodynamic gets a little to close to the of practices of Merlin or David Copperfield, even if it gives wineries a hot and well-received marketing hook--also known as their 'story.' Of course, I think that marketing hook often leads to the attitude that conventional growers somehow care less about their vines, land or grapes. That's bs. Anyway, this is Wine Blogging Wednesday, so I'm going to get off of my soap box. I'm not anti-biodynamics after all. I'm just not a believer. Maybe one day someone will convince me. So, for WBW this time around, Jack and Joanne asked us to seek a wine made from biodynamically grown grapes, even going so far as to serve up a master list of wineries that qualify. And, lucky for me, Shinn Estate Vineyards, right here on the North Fork is on the list, so I chose their 2004 Cabernet Franc. The nose on this deep ruby red wine is slightly more complex and nuanced than many local cab francs (and you know I love them), showing intense red raspberry fruit with toasty oak, vanilla, spice, violet and orange zest. The palate is rich and flavorful with red raspberries, red cherries, tangerine, vanilla and sweet oak. The tannins are soft, the mid-palate round and mouth-filling. The finish is relatively long for the variety with a spicy note at the end. I'm curious to see how this wine evolves with some further cellar time. At $38, one would expect some longevity. 175 cases produced. Meet Mickey Mouse. Drink New York Wines. I just got an email telling me that Walt Disney World Swan and Dolphin Resort's Blue Zoo restaurant will soon be pouring six, count em six, New York wines. So, now you can take your kids to meet Mickey and Minnie Mouse...and then enjoy some some delectable Finger Lakes and Long Island wines with dinner. I've had all of these wines with the exception of Atwater's cab franc (I'm a big fan of their riesling though). All nice choices, though I'd think a Long Island merlot or cabernet franc would fit in there too. Jack and Joanne (of Fork & Bottle) are playing host and hostess for the first edition of Wine Blogging Wednesday in 2007. That means that the wine you choose should be made biodynamically or with fruit from a biodynamic vineyard. For a detailed list of producers who qualify, check out their "Master List"
With the recent 2006 vintage, Pellegrini Vineyards in Cutchogue celebrated its 15th year. Australian-born winemaker Russell Hearn is known for making flavorful wines that tend to be good values in a local industry that is too often plagued by over-priced, under-delivering wines. True to his Australian pedigree, Hearn applies some of Long Island's most cutting-edge techniques, but he doesn't try to make Aussie-style wines -- thankfully. North Fork grapes just don't get ripe enough for those big, jammy, fruit bomb styles. Pellegrini Vineyards also makes enough wine every year that they don't need to rush their wines to the store shelves. This wine is an excellent example of that. While many wineries are releasing merlots from 2003 or even 2004, Hearn is only now releasing his 2001 -- a truly impressive wine from one of Long Island's best ever vintages. If you see a 2001 red on a store shelf, buy it. It's that simple. Even some of regions lesser producers made solid wines that year. Bottled unfiltered, this merlot is dark and dense in the glass with a plentiful nose of dark fruits -- think ripe blackberries, blueberries and plums -- with notes of vanilla and anise. Fruit-forward with ripe, full flavors, it displays delicious but not jammy blackberry and black cherry flavors, hints of vanilla, licorice, eucalyptus and black pepper. Ripe but medium-firm tannins provide structure and hint at a long cellar life. Red wines from the 2003 vintage -- even those made with the region's signature variety, merlot -- have proved inconsistent in my tastings. Some wines, from some vineyards are delicious -- elegant and classic Long Island. Others tend to be light on flavor and even a little 'green' in their under-ripeness. Some wineries didn't even bother making first label or reserve wines in 2003, declassifying the vintage. So what caused this inconsistent vintage? Poorly timed rain and October frosts -- two of them actually. Rain, obviously, can dilute flavors and frost kills the canopy. Without the engine to drive the sugar-making machine, those beautiful little bunches just aren't going to ripen any further. That's the bad news. The good news is that the frosts didn't wipe everything out. Some vineyards or at least sections of some vineyards survived and thrived, so the vintage is not one to be avoided across the board. The other good news is that wineries that didn't make reserve wines put grapes from their best, oldest lots into the de-classified bottlings. 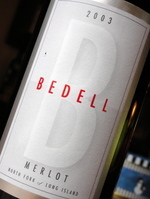 Bedell Cellars in Cutchogue has long been known for its merlot. 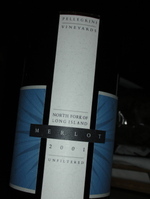 In fact, founding winemaker Kip Bedell is known in these parts as Mr. Merlot, and this 2003 bottling is reminiscent of his style. This wine is 94% merlot with 4% cabernet sauvignon and 2% cabernet franc and it was aged for 14 months in French-coopered American oak barrels. The nose featured red cherry, vanilla and smoky aromas. The palate is medium bodied with cherry, vanilla and cola with a subtle earthiness and medium tannins. The finish isn't particularly lengthy or nuanced, but this is a good wine from a less-than-good year. You've heard me say over and over that Long Island is a cool-climate wine region. That's nothing new. But the South Fork, also known as the Hamptons, is actually even cooler, with a growing season that is typically ten or so days shorter. Some have said that this makes it better suited to white wines than red. I'll open that can of worms another time, but there are some stellar whites made on the South Fork. Channing Daughters Winery, one of three wineries in the Hamptons region is doing some of the most exciting things with white wine on the entire East Coast. But, they think it's only natural. "Like Friuli, we are a maritime, cool-climate wine-grape growing region," says winemaker Christopher Tracy. "This is an excellent opportunity for white grapes to achieve optimum ripeness, flavor and acidity levels year in and year out. The soil and the landscape of the Isonzo region in Friuli especially bears these resemblances." Tracy's evocation of Friuli is a unique one on and Island where everybody talks Bordeaux. This wine, L'Enfant Sauvage or "Wild Child", gets it's name from the fact that it is a chardonnay fermented only with native, or wild, yeasts. The grapes come from Channing Daughters' Sculpture Garden and Brick Kiln vineyards, which were hand harvested and whole cluster pressed. The resulting juice took over a year to complete fermentation and spent 14 months in new French oak. Regardless of how it's made, this is a wine I look forward to every year. Although still relatively young, this wine is already a winner. Lush, intricate, and balanced, it is an ordinary enough light gold, but that color that belies it's full body, wonderfully complex aromas and delicious flavors. Fresh and roasted pears, vanilla spice, marzipan and baking spice mingle in the nose and on the palate, with faint honey notes and nicely balanced acidity and a little minerality. I swear that I'm not piling on Lisa Granik, what with my post from Monday and all. But, yesterday I found myself reading some back issues of Edible Brooklyn, and I came across this story that Lisa wrote. Looking at the op-ed and the Edible story side by side, it's hard to believe that the same person wrote them both. In fact, on many (many) points, they seem to be on polar opposite sides of the same issue. Read the Edible Brooklyn piece. I was saddened last night to hear that Ray Blum, one of Long Island's true wine forefathers, passed away yesterday after a long bout with illness. Ray played an integral part in Long Island wine's beginnings, founding Peconic Bay Vineyards (now Peconic Bay Winery), planting several vineyards all over the North Fork (including some that are now a part of Bedell Cellars and Paumanok Vineyards), and most recently running and owning Ackerly Pond Vineyards. In such a small, localized wine industry, everybody knows everybody else and I know Ray will be missed. Charles Massoud of Paumanok Vineyards emailed me today saying "He was a tireless worker and it is difficult to think of the North Fork wine scene without thinking of his immense contribution to our industry." As I was clicking through some of my favorite wine blogs today, I realized that I've never highlighted Virginia Vine Spot in a post. Never visited Dezel's blog and have no idea what it's about? Well, think of it as a LENNDEVOURS for Virginia wines rather than New York. 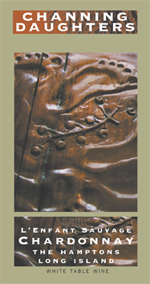 The writing is engaging and approachable, as are the tasting notes and other posts. Check it out and see what you think. I've only had a few VA wines, but most really impressed me. Clearly VA and NY are leading the way in East Coast winemaking. I wish I could get my hands on more VA stuff here. Much has been written and debated lately about the style and direction of Long Island wines -- most notoriously, a recent Op-Ed piece in the Long Island section of the NY Times implied that L.I. wine producers needed to spend more energy on experimentation and crafting out our own identity. I would argue that this is exactly what L.I. winemakers have been doing for the past 30-plus years. Most people take it for granted now, but back in the early 70s, the general consensus from Cornell University and many other “experts” on the East Coast was that the European grape species Vitis vinifera could not be grown successfully on a commercial basis on the eastern seaboard. It was only after the success of both the Hargrave and Mudd’s Vineyard plantings in the mid 1970s that the viticultural chorus in NY began to chime in on vinifera. In terms of acreage, Long Island today is still the largest producer of European grapes on the East Coast. Think about that for second. We have become so successful at growing these varieties that it’s sometimes easy to forget just how difficult the task of managing wine grapes can be and how unique our region truly is. In many ways, we are still participating in one giant experiment. Those of us involved in winemaking “back in the day” remember the lack of good, solid information on growing and making wines in our environment. We quickly learned that much of the information available in English was almost always out of California. Needless to say, we soon found this information to be inapplicable to our conditions. We found viticultural congruence across the ocean where, for centuries, grapes were grown in the temperate conditions of four seasons, humidity and rain. Trying to learn about the production of European wine grapes without studying the vineyards and wineries of Europe would be a fool’s errand. Likewise would be to try and replicate, note for note, the principles and practices of our overseas forefathers. With every succeeding vintage year, we began a process of working evolution -- planting more of the varieties that survived and succeeded and ripping out vines that didn’t. Winemakers spent less time checking their global winemaking “cheat sheets” and began to go with what worked -- and most importantly -- tasted the best. That’s how it is in all places that make wine. The secret is in the doctrine of “less is more” for what can you tell of a wine that has been made to conform to a recipe? Sounds simple, but this kind of winemaking is only a small percentage of the world’s production and is commonly found in most Long Island wine cellars. Today we see the results of this evolution of style in what I believe to be Long Island’s strengths. Our most successful white wines are highly aromatic, thirst quenching and crisp made with little or no oak. The best example is exhibited in our sauvignon blancs. Our most successful reds are just the opposite -- supple, elegant and soft, moderate in alcohol and density yet with enough tannin to make them decidedly age-worthy. These will most often be merlot based with cabernet sauvignon and cabernet franc lending a hand in good years. Cabernet franc has also shown to be sublime when made without oak, leading to what I believe to be the finest expression of this variety in our terroir. All of these could be mistaken for “Old World” wines, however I believe over time these characteristics will make us stand out on our own. Our wines should be what they are. With the overabundance of industrial-made, mass-produced products and with the “West Coast” genre exhibiting consumer fatigue, Long Island wines can be a breath of fresh air for the marketplace. As in any region, some wines will stand out and be award winners; others may be no more than casual supper potations. In the end, they should just be enjoyed for what they are. As an industry, we need to remain resolute in what we believe in and confident that our wines can hold up with their unique style intact.